The last three Sonatas of Schubert were masterfully played, infused with a singing tone that reached the very pinnacle of vocal expression idealized by the composer in his body of lieder. (songs) And while the pianist produced a liquid sound, he wove a tapestry of colors through sonorities and passagework that had an ingrown allegiance to form. His phrases, well spun, had a larger meaning — motivic threads, sequences, transitional bridges, and harmonic progressions synthesized to produce powerful emotional expression and structural meaning. On a personal note, Richard Goode dates back to my NYC days, when the late Harris Goldsmith, Classical music reviewer at High Fidelity Magazine was a close companion. Such friendship borne of our mutual love for music, created unusual opportunities to partake of great performances up close and personal. At post concert receptions I met virtuosos such as Richard Goode, Ursula Oppens, and Richard’s close friend, Murray Perahia, though the latter was a classmate at the New York City High School of Performing Arts. Both Richard and Murray were regulars at the Chamber Music Society of Lincoln Center and were Marlboro alums, under the mentorship of Rudolf Serkin. 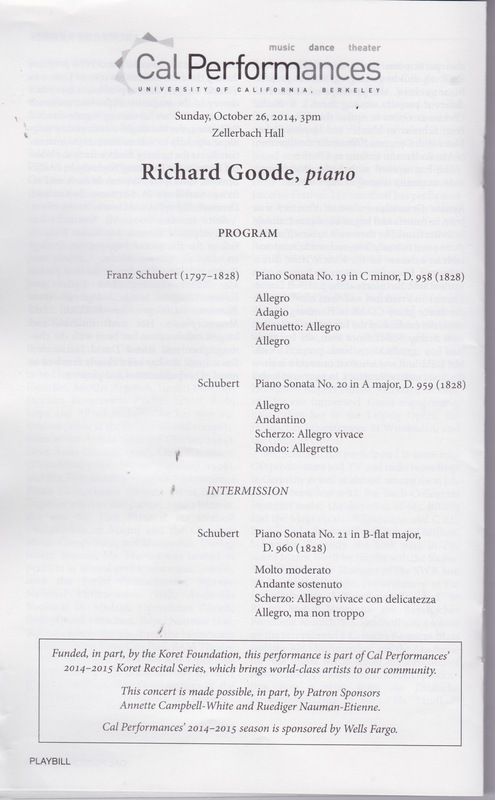 In the late 1960’s, Goldsmith invited me to hear “Richard” play the Schumann Fantasy at a Mannes College of Music Masterclass presented by Karl Ulrich Schnabel. (The reading had a signature sweep and beauty of phrasing that left an indelible memory) At the time, Murray was taking up conducting with Carl Bamberger, and both he and Richard had carved out rich chamber music careers before embarking upon their solo journeys. 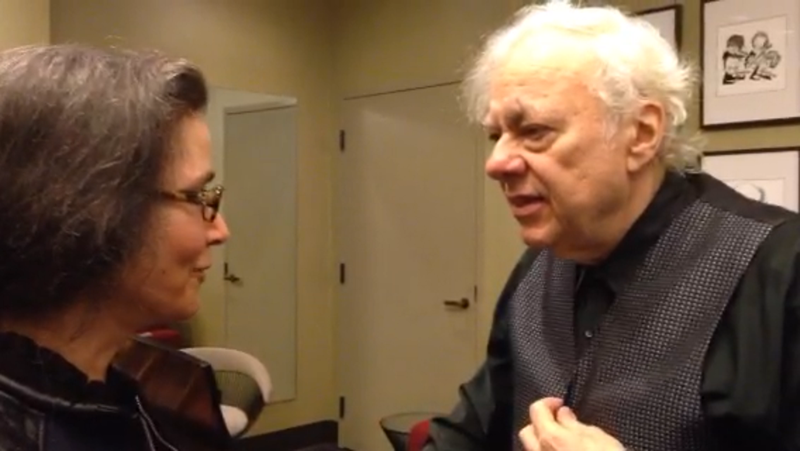 Fast forward to October 26, 2014: Richard Goode, the seasoned, long-term emissary of divine music-making graced Zellerbach Hall in Berkeley and moved many audience members to tears. I was one of them. Thank you, Richard for an inspiring afternoon!